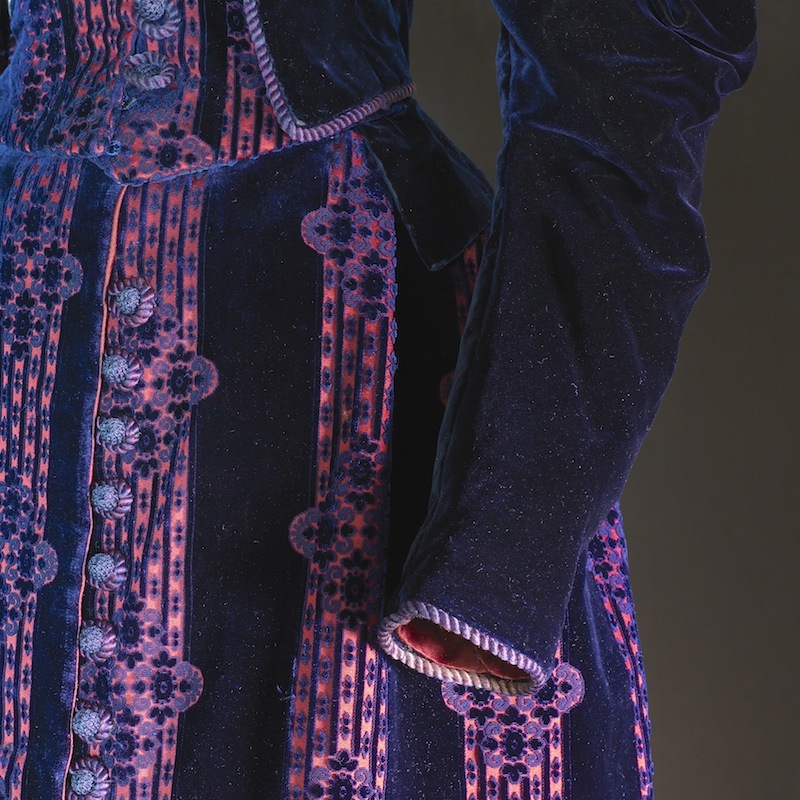 L'Heure Bleu… that twilight moment when daylight and darkness shift and glimmer like the deep blue velvet of this sumptuous 1890s walking gown. Every movement brings a play of texture and light in the lustrous silk pile of the gown's underskirt, sleeves, and bodice. 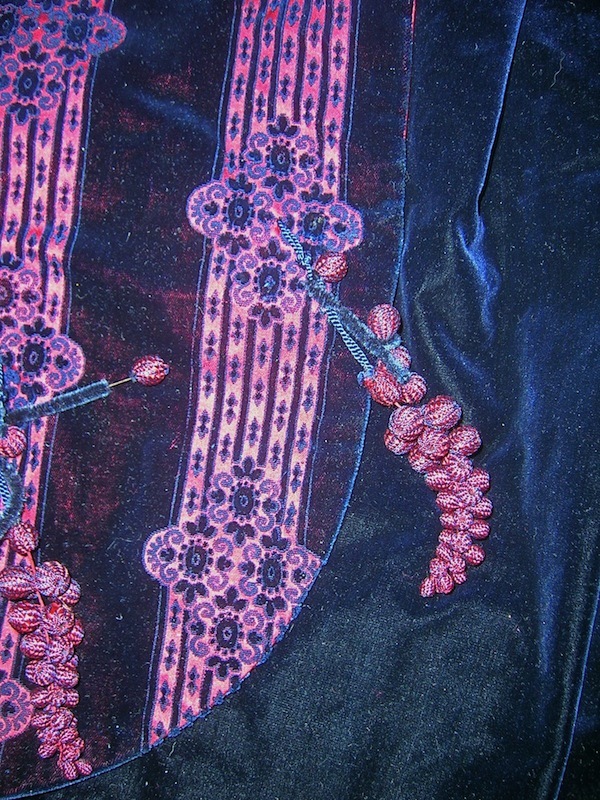 Flashes of color peek through the spectacular voided velvet panels of the overskirt and bodice front, where midnight blue velvet on a deep crimson ground is woven to look as though elaborate brocaded ribbons were cascading down the fabric. The clever play of blue and red carries through to the grape-like clusters of crocheted balls on the skirt and the two-tone cording edging the bodice - even the buttons have a peek-a-boo aspect, teasingly displaying a red core covered with blue thread. Victorian construction savvy is in full display here - it is all about presentation and illusion. The waist seems tinier when framed by oversized sleeves and gently flaring hips. The seeming jacket and blouse are in fact a bodice with false jacket lapels, and the rich red silk lining of the "jacket" reveals itself to be only a narrow facing. The shell of the "blouse" is masterfully tailored to hide its shaping darts along the edge of the voided velvet bands so the garment almost looks woven into its curvaceous form, and the expensive fabric barely extends past the falling edge of the lapels. This dress easily finds it place alongside contemporary late 19th century aesthetic trends: the astonishing patterning of the voided velvet brings to mind the motifs of American architects Louis Sullivan and Frank Lloyd Wright, while the shifting shimmer of the velvet pile is reminiscent of the vibrant use of light and technology found at 1889 Paris Universalle with its iconic Eiffel Tower. As with the other decorative arts of the era, this garment is designed to accentuate form and beauty, exquisitely performing its task of drawing an admiring eye to the woman wearing it while on promenade. Once worn to impress, the midnight velvet gown is now a treasured part of the Irma Bowen Textile Collection at the University of NH, which grew out of one woman's passion for clothes and their construction. When Miss Bowen came to teach home economics at the university in the 1920s, she began to collect examples of past fashions from friends, colleagues, and townspeople in order to let her students see first-hand how styles evolved and what techniques were used. 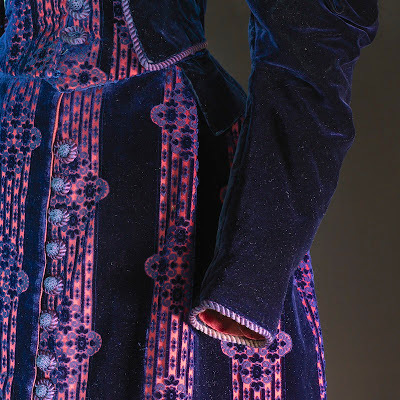 Now a highlight of the University Museum's holdings, the Bowen Collection comes full circle in the current exhibition, Embellishments: Constructing Victorian Detail, up through March 23. Visitors can examine 25 dresses and accessories from all sides and explore touch samples to understand the techniques used to trim them. Companion book to be released in 2013! See more about the exhibition at www.izaak.und/museum, www.schaefferarts.com/portfolio, or on FaceBook go to SchaefferArts Costume Exhibition & Care. 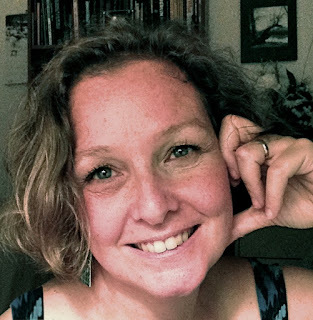 Astrida Schaeffer has been working with historic fashions and textiles for over 25 years as curator, mannequin maker, reproduction seamstress, researcher and author. Incredible gown, fabulous insight into the beautful details. Thanks for sharing the beauty.